Earlier this year, Nicaragua’s political turmoil led to a situation where we saw soaring foods prices on the island, and this, in combination with the severe job losses as a result of the devastating drop in tourism, led to many local Nicaraguans being unable to feed their families. Thus far we have served over 4000 meals, servicing the neediest children in three communities on the island. Help us to continue our feeding program and to expand our project! We are grateful for the donations we have received thus far which have allowed us to fill so many hungry bellies! 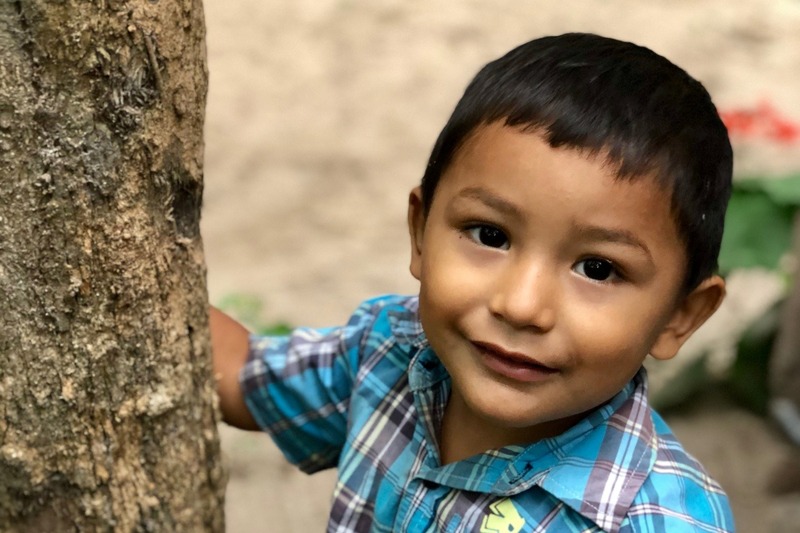 With your help, we are eager to continue feeding the most vulnerable in our community, and expand our program to other children in need of food on the island. Our program meets these urgent needs in our community through our feeding program. We also address the larger systemic problem of food insecurity among the local population of Ometepe. Our mission is to educate and inspire families in order to increase their desire and capacity to sustain themselves on foods that are locally grown on Ometepe. The island is rich in agricultural resources. The effects of the recent political crisis in Nicaragua reveal that fact that many local Nicaraguans have been becoming increasingly dependent upon on imported foods since the advent of the tourism industry. Over the last years during the InanItah Fire Season, we have developed many tasty recipes that use abundant and underutilized local foods. We have in effect proven that is is possible to maintain a healthy diet without relying on imported foods. We are inspired to share this knowledge, empowering people to become more self-reliant and healthier. We believe this will lead to increased resilience among the local community. We believe that our feeding program is important, but that is is also important to empower families to be able to feed themselves without relying on expensive imported foods. In September 2018 we held the first of the Recipe Sharing and Community Education workshop. This was a huge success and was attended by for 16 local women, ages 16 – 65, along with some of their children. During this workshop, two recipes using local ingredients were shared. We also covered various points on nutrition and environmentalism and economic regeneration achieved through local spending. We are planning to hold two of these workshops each month and would love your support! Important core values of our project are to promote regenerative ecological and economic systems. We believe that influencing local eating habits to decrease reliance on imported produce will not only improve lives, but will also have a positive impact on the environment and the local economy which is rich in agricultural tradition. This will in turn simultaneously support local farmers by increasing the local demand for their goods. Increased spending on local foods will also mean that, rather than money leaking out of the local economy, it will be fed back into the community, regenerating the local economy of the island. This project seeks to instill a sense of pride in the rich resources available on Ometepe and promote sustainable tourism. Anticipating a resurgence in the tourism industry, we see an opportunity for Ometepe to deepen its already established reputation in eco-tourism. 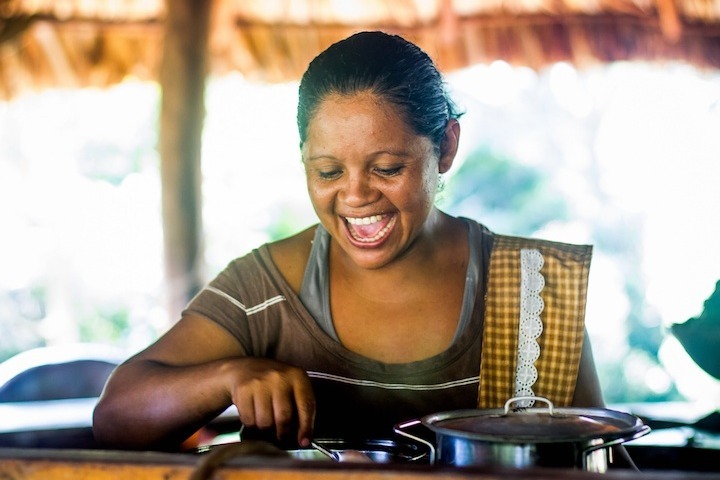 By empowering local Nicaraguans to create locally-sourced food that appeals to tourists, this project will enable individuals to create economic opportunities for themselves by selling food to tourists and travelers. This project as evolving, and we plan to expand it significantly over time. We see huge potential for various forms of education and training to empower the local Nicaraguan community to increase their self-reliance, sustainability, health & nutrition and economic opportunities. Our plans for the near future of this project include expanding our programs. We envision an organic agricultural program which will include organic cooperative support and further training in organic farming. And, we are looking at creating a community hub which will likely include a kitchen, market space, and a demonstration and education garden. We believe in transparency and accountability! All non-anonymous donors will receive a link to a google doc transparently sharing the program spending as well as photos of some of the farmers, families, and cooks involved in the program. We are on the ground and making a difference! Any donation, big or small, with help us to feed and empower the people of Ometepe. We’re in the process of researching and applying for stable funding sources from foundations and individuals. Please contact us if you have any recommendations.